Sean C. McCarthy, Jr, passed away April 11, 2019. He was born in Buffalo, NY on July 14, 1990, son of Sean C. McCarthy, Sr and Donna Guilmain McCarthy. Sean was a graduate of Westfield High School. He studied Welding Technology at Ivy Tech and J Everett Light. Sean became an accomplished welder. Sean was preceded in death by his grandparents, James E. and Elizabeth McCarthy, and Barbara Guilmain. Survivors include his grandfather, William Guilmain, Sr; parents, Sean and Donna McCarthy; sisters, Alexandria (K.C.) Hughes, Julie McCarthy and Lindsay (Justin) Hall; nieces and nephews, Alivia, Kendra, Xander, Dexter, Gavin, Christopher, Amia, Aleena, Easton and Wyatt; Smoke, Sean’s beloved rescue dog. Sean was first and foremost a loving son, brother, uncle and friend. 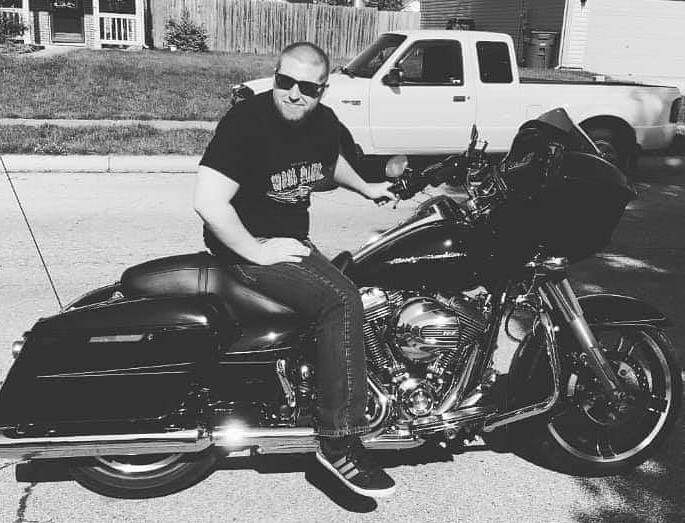 He was a motorcycle enthusiast and a charter member of the Wheel Dawgz Charity Riders, a charity supporting Hamilton County Humane Society, Pets Healing Vets, which pay the lifetime costs of a service pet. Family and friends will gather on Tuesday, April 16, 2019 at 11 am in Christ Lutheran Church, 10055 E 186th Street, Noblesville, where the funeral service will begin at 12 noon. Burial will follow in Crownland Cemetery, Noblesville. The family request contributions in Sean’s name be directed to Pets Healing Vets % the Humane Society for Hamilton County, 1721 Pleasant Street, Noblesville, IN 46060. Envelopes will be available at the service.